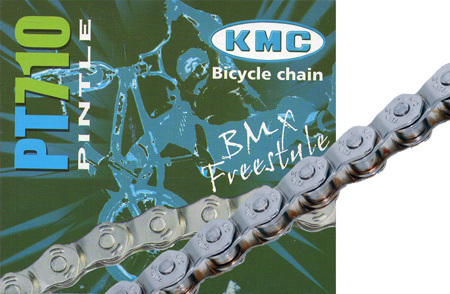 Innovative design features, especially good for BMX and other bikes with high visual profile, Bulls Eye super strong pins. 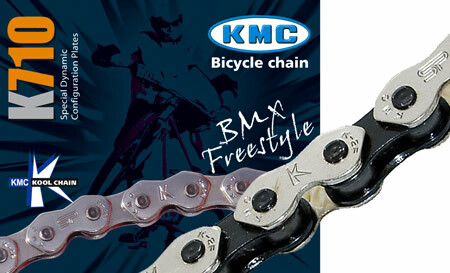 1/8", 9.5mm - excellent chain for single speed or fixed. Now with "Missing Link" connector. 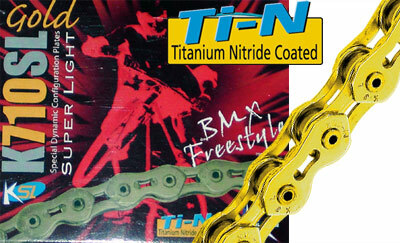 Half-link chain, 9.4 mm wide. Silver plated finish. Anti-drop side plates. Particularly useful for use in frames where it is not possibleto tension the chain, i.e vertical ends. Requires pin (included) to be pressed in.